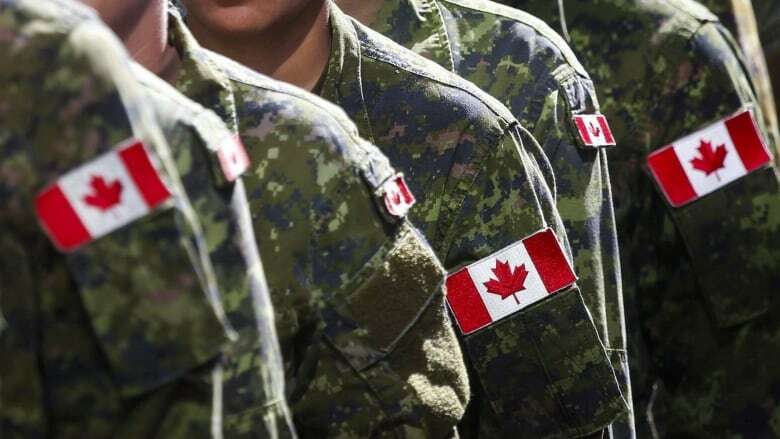 Canada’s military is reopening investigations into nearly two dozen cases of sexual assault after reviewing 179 old cases that previously had been deemed unfounded. Canada's military is reopening investigations into nearly two dozen cases of sexual assault after reviewing 179 old cases that had been closed as "unfounded." In each of those 23 files, investigators will conduct additional interviews, seek better documentation or use other investigative tools to review the cases. Senior military commanders decided to comb through the old cases after an internal review found that nearly a quarter of cases filed between 2010 and 2016 concluded with an "unfounded" label — a rate higher than the rate for cases investigated by civilian police forces. Reviews by the military and RCMP were launched following an in-depth 2017 Globe and Mail report on unfounded sexual assault cases across Canada. Of the 179 military police files reviewed in an 18-month period from early 2017 to July 2018, 43 cases were deemed to have been "misclassified" and have been re-coded to "reflect more accurately the findings of the investigations," according to a release from National Defence. Another 113 cases will remain labelled as unfounded — 14 per cent of the 757 sexual assault cases in that six-year period. In a statement, Lt.-Col. Kevin Cadman, commanding officer of the Canadian Forces National Investigation Service, said the review was "beneficial in many ways" and that best practices will be assessed continually to ensure National Defence and the Canadian Armed Forces receive the "highest standard of policing service." The release said the average unfounded rate has been declining; it dropped to eight per cent in 2016 from 17.6 per cent in 2010. The average unfounded rate for Canadian policing is about 19 per cent. Defence Minister Harjit Sajjan said the CAF has a "zero tolerance" policy for inappropriate sexual behaviour of any kind and commended the investigation team for their work in "ensuring victims are heard." "Every person who willingly serves their country, despite the many dangers and sacrifices of military service, deserves a professional environment in which they are treated with respect and dignity," he said in a statement. "That is why Operation Honour and its mission to eliminate harmful and inappropriate sexual behaviour within our ranks remains a top priority." Operation Honour was launched in 2015 to crack down on sexual abuse and misconduct in the military. Sajjan said the Canadian Forces Military Police are in the final detailed planning stages of a sexual assault review program, which will establish an "open and transparent" review process for all unfounded sexual assault cases going forward‎. Conservative defence critic James Bezan said his party called for the external review of sexual misconduct in the ranks and launched Operation Honour because it stands up for victims of sexual assault. "While progress has been made, the fact is that even one such unfounded case is one too many. We hope that for the sake of the victims, these cases are resolved and the perpetrators brought to justice," he said in a statement. NDP MP Irene Mathyssen said every report of sexual assault should be approached from the perspective of believing survivors, and reopening 23 cases is a "very small first step" toward creating a safe and inclusive culture in the military. "We should be addressing the root causes of misogyny and power culture that keeps women from participating and forces them to either be silent or leave when faced with sexual harassment and assault," she said in a statement.